That's the macro-view. In the micro-view, we can examine the little things we do everyday that affect the environment. One on-going activity that still falls within the private sphere is cleaning. But, even though it's part of the undervalued domestic work some of us despise, it affords us the opportunity to make an ecological difference with the products we buy and use. One of my goals is to replace toxic cleaners with eco-friendly ones. So far, I've replaced my dishwasher detergent and my toilet bowl cleaner. The key is finding products that really work and that are available and affordable. Here are a few more products I've found that work great in place of their toxic counterparts. 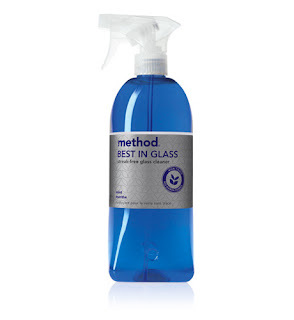 Method Best In Glass treak-free Glass Cleaner: Far and away the best glass cleaner. No ammonia, no streaking. $2.99 at Target. 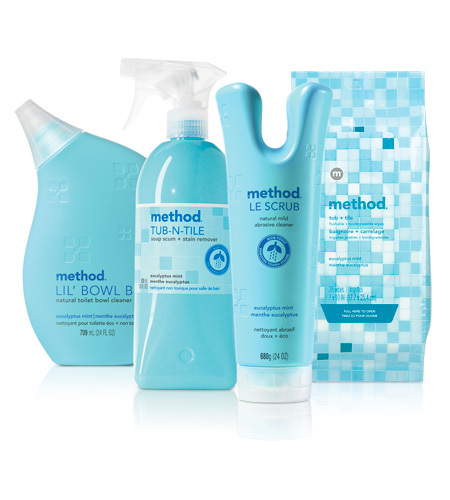 Method Daily Shower: My bathroom is the worst for mildew, and this product really helps minimize it.. I had been using Tilex, which is so toxic that I had to open all the windows and turn on the fans to keep the fumes down. Simply spray the shower down after you're finished. I concentrate on the problem areas. A little daily effort goes a long way. For best results, start with a clean shower. $2.99 at Target. 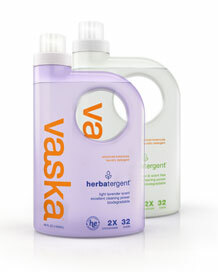 Hebatergent by Vaska. A great, plant-based laundry detergent alternative. A little goes a very long way (a shot glassful cleans a large load) and it works well in cold water. $13.99 for 96 ounces at Target. Personally, I don't mind paying a little more for products that work well and are kind to the environment. Yet, these products are not always accessible or affordable for all of us. But, do what you can. Even replacing one toxic product can make a difference. *Tong, Rosemarie. Feminist Thought, Third Edition. Westview Press, 2009. p. 242. Recently I wrote a blog entry offering a leftist critique of the ideology of “Green” environmentalism, animal rights activism, deep ecology, ecofeminism, and lifestyle politics in general (veganism, “dumpster diving,” “buying organic,” etc.). I’d be interested to hear your thoughts on the matter and any responses you might have to its criticisms.